This delicious mix of yogurt and banana is a sweet treat that's healthier than the average milkshake. 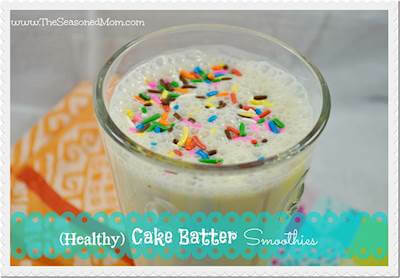 Blend Greek yogurt with Funfetti cake mix and bananas, then top with rainbow sprinkles for a splash of color. RecipeSavants.com This delicious mix of yogurt and banana is a sweet treat that's healthier than the average milkshake. 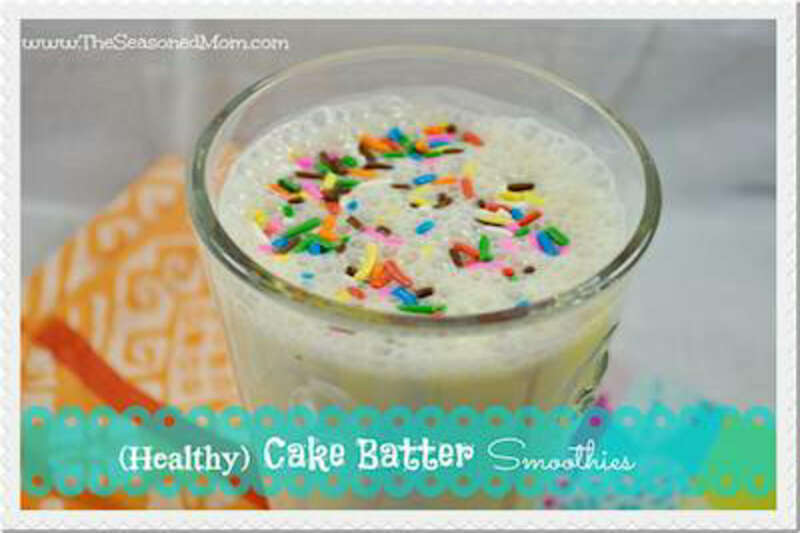 Blend Greek yogurt with Funfetti cake mix and bananas, then top with rainbow sprinkles for a splash of color. Smart Recipes, American Recipes, Other Recipes, Recipes Other American Banana Cake Smoothie PT0S Serves 1 Ingredients: 4 Ounce Vanilla Greek Yogurt 2 Tablespoons Funfetti (Or Yellow) Cake Mix 2 Tablespoons Vanilla Flavored Almond Milk 1 Medium Banana 1 Teaspoon Rainbow Sprinkles Place all ingredients except sprinkles in a blender and process until smooth. Serve in glass topped with rainbow sprinkles.